1. In a bowl, mix together dry ingredients. 2. Add wet ingredients and whisk until combined. 3. In a cast iron skillet, melt 1 tablespoon butter. 4. Drop down large spoonfuls of the batter into the pan. 5. 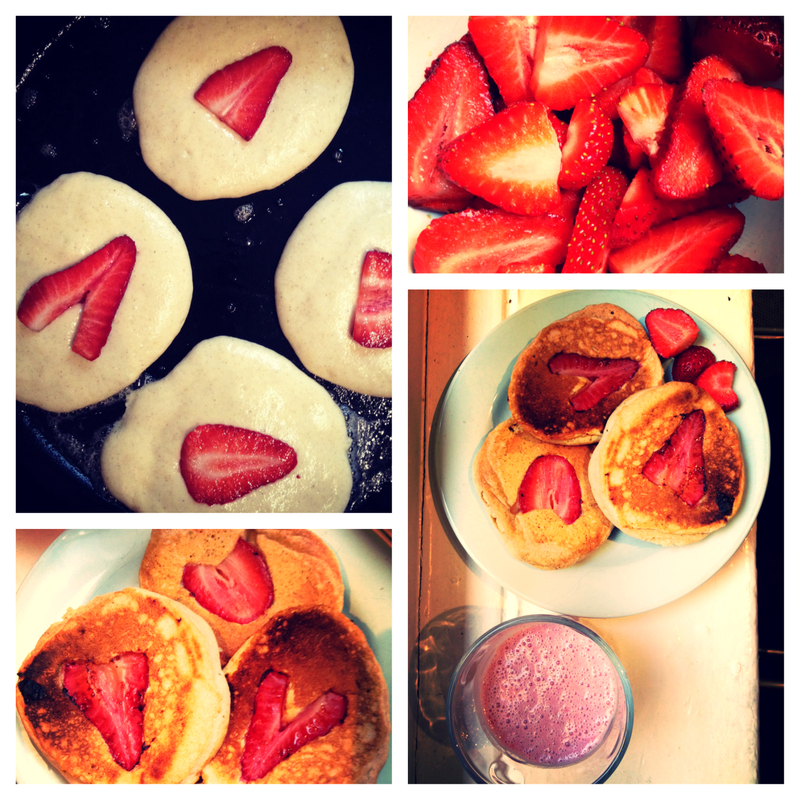 Place one strawberry in the center of each pancake. 6. Once pancakes are bubbling (1-2 minutes), flip over. 7. Cook for 1-2 minutes longer. 8. Serve piping hot with maple syrup and fresh strawberry slices. Love this recipe? Sign up on my website for my Mama Loves Healthy newsletter for more healthy recipes, nutrition tips and detox news! These look beautiful and great to know a hit with the whole family. Thanks! They are super easy to make, colorful and fun for everyone.